Stanford University is an American private research university located in Stanford, California, United States. The campus is 8,180 acres located near Palo Alto. The school was founded by Leland Stanford, former Governor and Senator of California and his wife, Jane in 1891. The school was meant to commemorate their son Leland Jr. who died at a young age. Tuition at Stanford University was free until the 1930s. The school is organized into seven different schools including academic schools of Humanities, Sciences and Earth Sciences. There are also professional schools of Business, Education, Engineering, Law, and Medicine. Stanford University has a student body of approximately 7000 undergraduates and 8,400 graduate students. 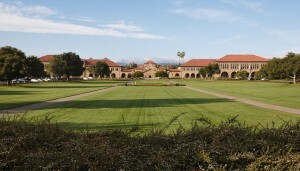 Stanford University is a large research university with amajority graduate and professional students. Stanford is a very selective school, and aims to attract the brightest students. The University offers schools of Humanities and Sciences, Engineering, and Earth Sciences. The schools of Law, Medicine, and Education and the Graduate School of Business have graduate programs only. For the class of 2016, Stanford University received 36,631 applications and accepted 2427. This figure is the lowest in the university’s history and the second lowest in the country. Full-time undergraduate tuition was $38,700 for the 2010-2011 school year. The cost of attendance in 2010–2011 is $54,947. In 2010, the university awarded $117 million in financial aid to disperse to financially strapped students. Stanford has been the top fundraising university in the United States for the past several years. Almost 90% of undergraduate students live on-campus at Stanford University. First-year students are required to live on campus to get a better feel for what university life is like. There are over 80 different housing options for students which include dormitories, row houses and more. Students can also chose to reside with sororities and fraternities. All undergraduate students are guaranteed housing for all four years at Stanford University. 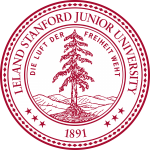 Stanford University’s campus has many different research centers and institutes including the SLAC National Accelerator Laboratory and the Hoover Institution on War, Revolution and Peace. There are also many different libraries and digital resources available to students including SULAIR and the Green Library. Stanford University also boasts the Cantor Center for Visual Arts museum which allows students to explore the beautiful gardens, sculptures and more. There are many different school traditions that are unique to Stanford University including Full Moon on the Quad in which, traditionally, senior students kiss freshman. There is also fountain-hopping, Sunday flicks, and primal scream. Fraternities and sororities are also very popular existing as long as Stanford University has been open. There are over 650 groups in which students can partake in and many of them are partially funded by the University. These groups include the school’s daily newspaper, The Stanford Daily, the Stanford solar car project and the Stanford pre-business organization. 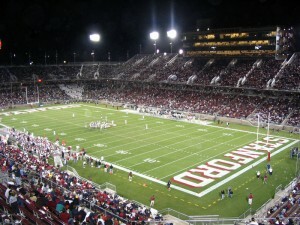 Stanford University offers many different sports programs to their students and participates in the NCAA’s Division I FBS and is a member of the Pacific-12 Conference. There is no official mascot at Stanford University. The school’s official colors are cardinal and white. It also offers 36 varsity sports, 19 club sports and 37 intramural sports—about 800 students participate in intercollegiate sports. The university offers approximately 300 athletic scholarships per year. 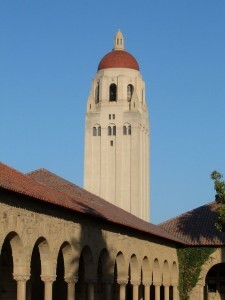 Stanford University has many notable graduates with many of them venturing off to create technology and computer related companies. These companies and graduates include (but are ot limited to): Hewlett-Packard (William Hewlett and David Packard), Google (Sergey Brin and Lawrence Page), Logitech, Instagram, and Sun Microsystems (Vinod Khosla). Other alumni have gone on to be in politics including UN Ambassador, Susan Rice and US Senators, Diane Feinstein and Jeff Bingaman. Entertainment personalities including Jennifer Connelly and Ted Koppel are graduates; as well as creator and writer of The Sopranos, David Chase.